In Shock With The Results !!! Ordered this mass gainer and got it just last week...its been only seven days that i have started taking this supplement, and i must say it tastes like pure chocolate. It is very very delicious. More importantly, i have actually seen tremendous results. I am very very slim and i am 29 years old with an absolutely underweight body of a kid. To my amazement i have actually gained 1.5 kg in just 7 days. Though i have a very bad appetite, NOW that has also increased and i am able to eat more food. I have also seen changes in my appearance as my skin now glows with health.. My advise to all thin people out there is "Brothers, dont second think about this mass gainer, It is amazing and trust me, for this cost we will not get anything more effective....Just go for it, workout hard and gain some good weight". The best product till now. Great tatse, mixes well, starting to show effects. GREAT PRODUCT. 3 SCOOPS daily = 5KG GAIN :) 1 scoop in noon 2 scoop after workout. UPDATE PRODUCT DETAILS. Details are applicable on 100g as per Nutritional Information ( without milk ) on jar NOT on 75 g serving. Muscleblaze products have proven to be very effective...this is my 3rd 6.6lb jar and i jave gained a lot musclemass. Earlier I was using MB Mass Gainer and I liked it a lot but this new and improved MB Mass Gainer XXL is a blend of different ingredients like carbs,proteins and amino acids.It offers 15 % extra protein which was not there in the earlier gainer.Apart from protein changes this product now has casein along with whey with good protein carbs ratio of 1:3.Totally satisfied with this product.Everyone should try!!! I am taking this supplement from past 8 months worth regular gym, proper diet and enough of sleep. This routine has improved my weight asking with my muscles. I have gained 10 kgs in this period. 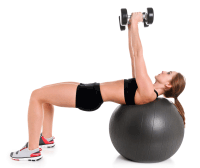 It is good for people who want to gain weight along with muscle building. Take one scoop in the morning after gym and one before sleeping in full milk. I am really happy and satisfied , getting expected results. 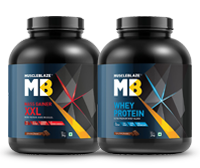 As I was lean I wanted to gain some weight plus wanted some bulk for my muscles, so I opted for this newly launched MuscleBlaze Mass Gainer XXL.This is actually a good product and far better than other gainers.I gained 1kg in 4 days.. I am really happy and satisfied.Getting expected results. This product has Casein protein too. Its not highlighted somewhere but that?s a very good advantage.